Twelve-year-old Chestnut Hill’s daddy stole her and the triplets away from their mama. At least, that’s how Chestnut remembers it. It’s 1921, and after nearly two years on the road with his traveling elixir show, Daddy’s still making no move to go back to Kentucky and buy Mama that house. So Chestnut is forced to come up with her own plan to get home. At night, when Daddy and the triplets are in bed, she draws up flyers with the name of the next town they’ll be traveling to. Before they leave each town and hoping her mama will see them, she nails up the flyers, leaving Mama an easy trail straight to her children. When that doesn’t work, Chestnut is forced to try something bigger. But when her newest plan lands Daddy in jail and Mama has to come to the rescue, Chestnut discovers that things are not always as they seem. 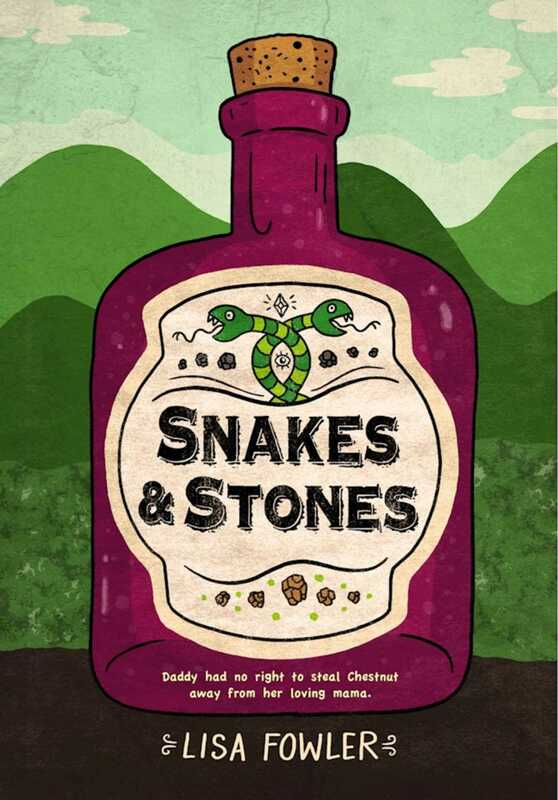 Written with a wonderful mountain hillbilly voice, Snakes and Stones has a mystery at its heart and lovable, strong, and complicated characters.